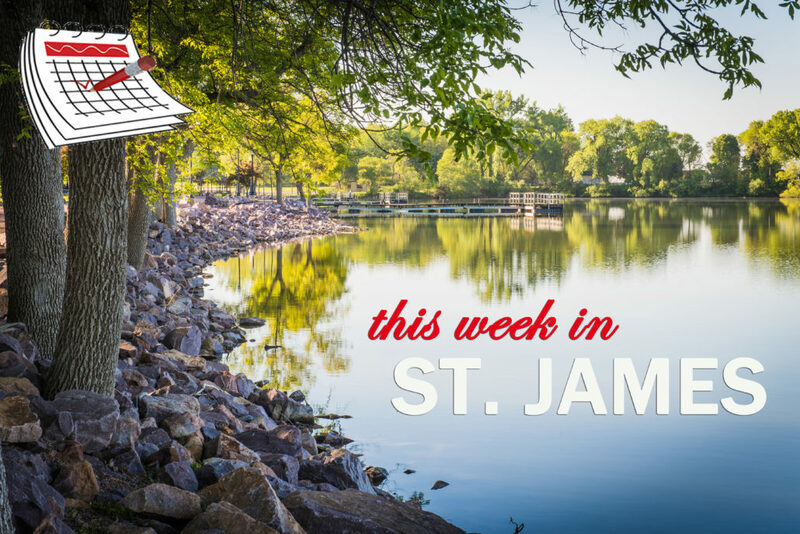 This week in St. James, The Winter Carnival events are continuing (Check out the Winter Carnival flyer for details) and the Medallion Hunt is on through the end of the week. Monday the, Chamber, Century 21 and KRRW Open House 10 a.m. – 2 p.m., Thursday there is an Open House Retirement Celebration for Jim Branstad and Dave Wildeman from 9 a.m. – 5 p.m. Hamburger Night at the VFW from 5 p.m. – 7:30 p.m., Model Railroad Club from 7 p.m. – 9 p.m. Friday Pioneer Bank Open House from 9 a.m. – 4:30 p.m., CCF Bank Open House from 9 a.m. – 3 p.m., Holiday Friday Flicks at St. James Library at 1 p.m., Visit with Mr. & Mrs Claus from 4 p.m. – 6 p.m. and pictures from 5 p.m. – 6 p.m., Carriage Rides from 4 p.m. – 6:30 p.m., Chili Cook Off from 5 p.m. – 7 p.m. and finish the Winter Carnival with the parade from 7 p.m. – 8 p.m. Saturday the Model Railroad Club from 1 p.m. – 5 p.m. Check out the community calendar for more details on these and other upcoming events.